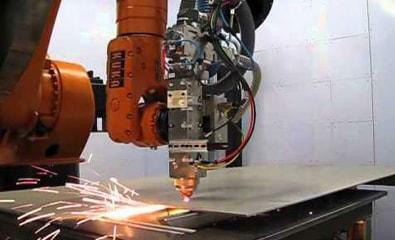 Robotic Cutting ensures a high degree of consistency and quality. One of most important reason to choose a robotic system is the technology, low-risk, and high-return investment. 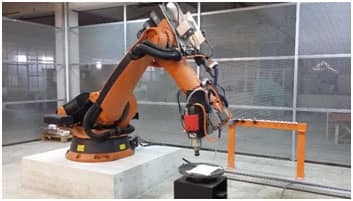 However, other features is that industrial robot provides the ability to easily design around the application instead of install a stadard machine onto the process. 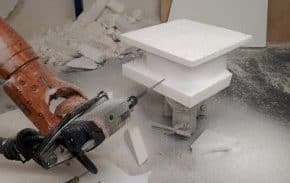 These robots are lower cost and friendly to humans, which cuts down not only on price, but also on accidents in the workplace. You are giving your staff new labour skills by integrating robotics into your process. Incorporating 6-axis robot reduces the number of electrical y/o mechanical equipment that conventional machines require for their operations. Also, database programming reduces the amount of robot programming when changing process, parts, or product types.